Heat the oven at 220 degrees. Cover the pan with a baking paper, grease with butter. 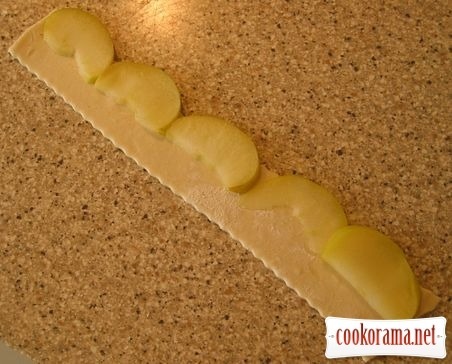 Knead a thin dough, cut into long strips, near 2 сm. width. Put the apple slices along. 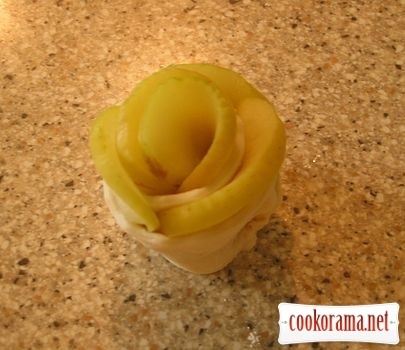 Roll them carefully, pinch the edges and tuck them under the bottom. 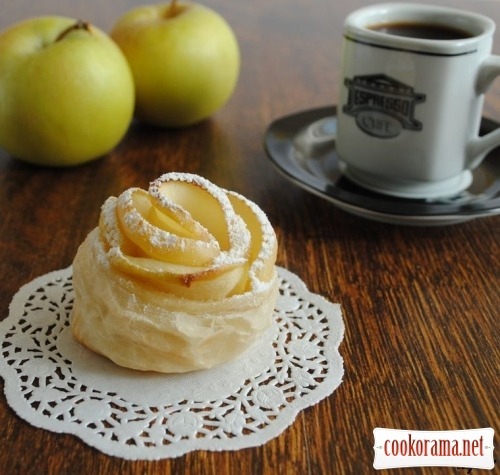 Put puffs on the pan with the apple sides up. Bake till golden brown. 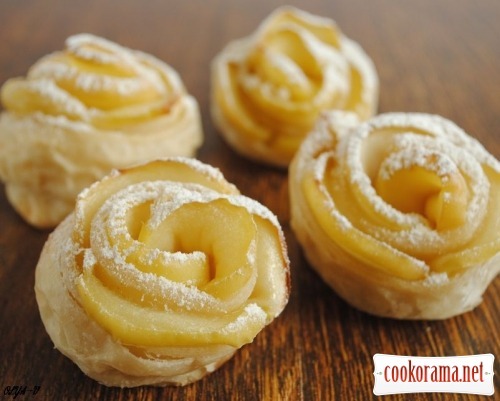 Cool the ready puffs and add sugar powder. 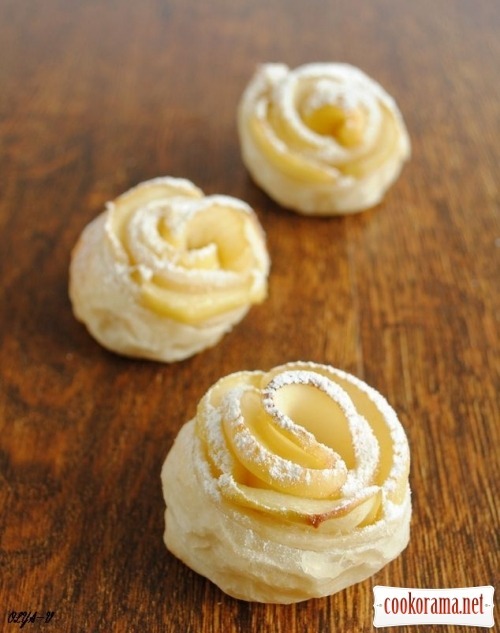 Top of recipe "Puffs "Apple roses""
Recipes, Buns, Puffs "Apple roses"